Are you full of ideas that will make the world a better place for your clients, organization, and profession? Looking for ways to act upon your ideas and make an impact? Let your idea be the one that makes a difference! Use the resources, training, and support that is available below to navigate the most common challenges and pitfalls innovators in service organizations encounter. 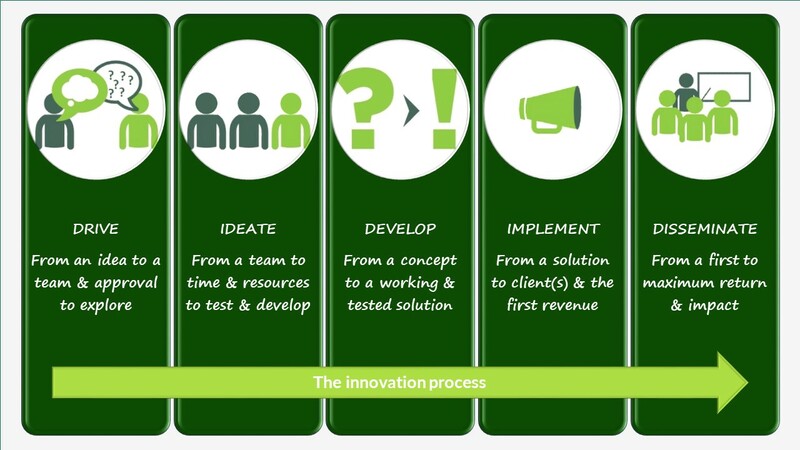 Lead your innovation project to success! Our goal is to help innovators succeed. If you have questions or resources to add to the list above, please contact us!